Hi friends, if you want to know, How to make an Electromagnet or you want to make Simple Electromagnet or you want to do an Electromagnet Project then you are is in a right place because here in this article, I will tell you, How to make an Electromagnet or Simple Electromagnet and no matter where you want to make this Electromagnet Project either at home or at anywhere. 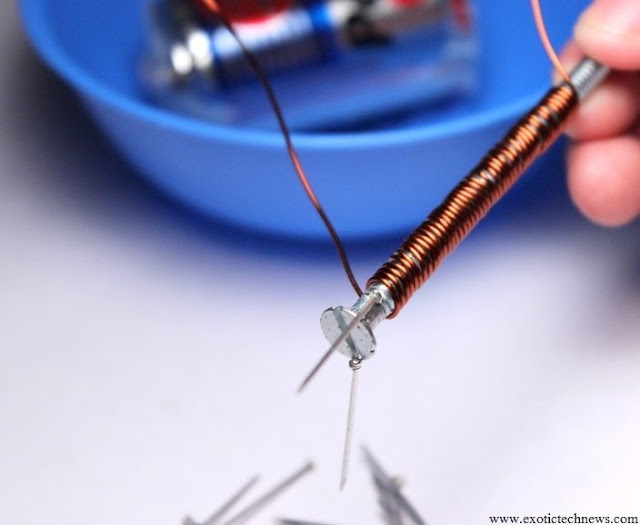 Let us first understand, What is Electromagnet? Basically, An Electromagnet is just the type of Magnet from which Magnetic Field is Produced with the help of an Electric Current (I) and if we turn OFF an Electric Current (I) then these Magnetic Field will disappear. So this is known as an Electromagnet. Metal like Safety Pins etc. First of all, Take an Iron Nail or Screw or Bolt which acts as the Core and is of about 3-6 inches and I think Iron Nail or Screw or Bolt will easily available at your home. So, if you found, Grab it. After that, Take an Insulated Copper wire and wrap this on Iron or Screw or Bolt tightly but remember to take one end of that Insulated Copper Wire which will connect to the one end of the Battery. Now wrap this wire on Iron Nail. 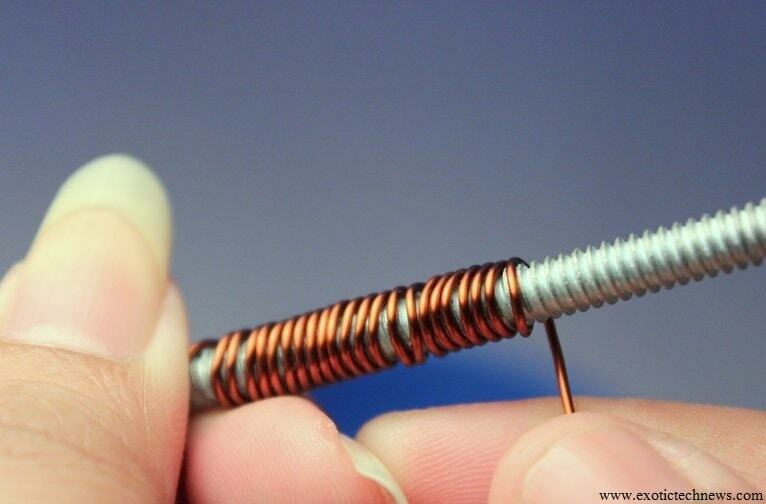 Here you have to Wrap this Wire on Iron Nail from one direction to another because after that an Electric Current will pass easily and if you will not do this, then your current moves from one direction to different direction which results that, you will lose your Magnetic Field. Then make lots of turns as possible which will pass the high amount of Current. Here you have to Cut this Insulation Wire with the help of Cutter or Wire Stripper and then Scarp the 2 inches of Insulation from both ends of Wire which will result to Capture the Current more Easily. After that, the color of this Insulation Wire changes from Copper to Silver. And then Connect both these ends of the wire to the Battery and Battery should be D Cell Battery or those batteries who has 1.5 Volt of Capacity. After that put some of the needles or safety pins on the table and then move your Iron Nail or Bolt near to these Pins and hence you will see some of the Pins starts Attracting to the Iron Nail or Bolt. This Iron Nail or Bolt works as an Electromagnet due to the Phenomenon of Magnetic Field. 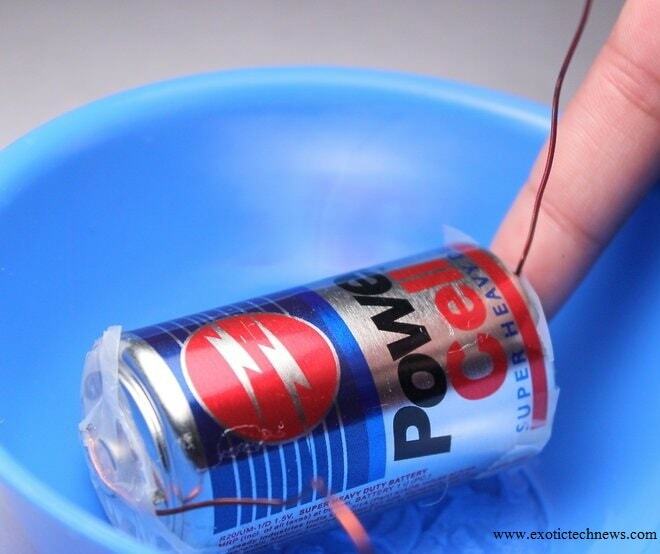 So friends in this Article, I told you the “How to make an Electromagnet or Simple Electromagnet or How to Make an Electromagnet at Home or Anywhere” and if you have any types of Query then just Put you query on Comment Section and also if you have any Suggestions then do Comments because Comment box is only for you guys.